While Castle Story grabbed my attention because of its bright, colorful art style, I kept playing because of its addictive sandbox gameplay. It's a free-form building strategy game, where the goal is to build a fortress and defend it against monsters at night, or other players. It's an interesting blend of ideas from games like Minecraft, Settlers, Stronghold, and Dwarf Fortress, but it's a lot easier to pick up and start playing than other real-time strategy games. The game takes place on islands floating in the sky, and it's built on the Unity engine, which allows for everything to be destroyed and knocked around with physics. The physics in the game give it an edge over Minecraft because the things you build have to make sense logically. Everything can be done through a contextual radial menus rather than using an overly complicated user interface. If you right-click in the game world, you can choose to build objects, place blocks, or set up a work area. It makes the game super easy to get into and once you start building, it's really hard to stop. 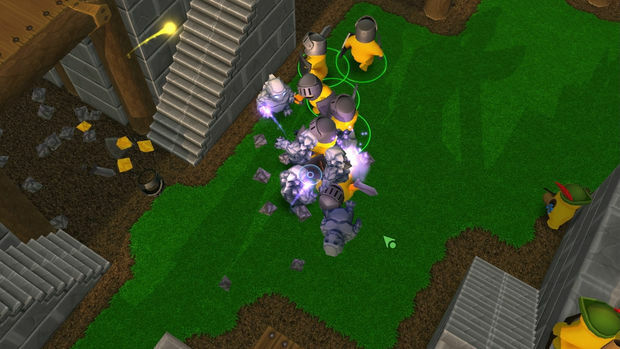 Players issue orders by setting up work zones and then assigning related tasks to Bricktrons, little adorable yellow guys that are the main unit in the game. For example a "chop wood" work area can be set up near a forest, and then by clicking on a Bricktron, they can be assigned to that zone. Then they will keep chopping wood until the stockpiles are full. Tasks include chopping wood, mining, building structures, and carrying materials around. The Bricktrons have a lot of personality. Players can give them direct orders, but for they most part they just wander about doing the job you gave them. One neat thing they do is pass off goods to another worker on the same task. If two workers need to bring wood to a construction area, they don't just walk by each other -- the one carrying stuff will pass it off to the empty-handed worker. It's possible to set up an entire chain of Bricktrons to quickly move materials around. It's fun to watch go about their business and it's a big part of the game's appeal. There is a day and night cycle, and at night the monsters come out to threaten the Bricktrons. This is why it's a good idea to build a castle, hence the name of the game. Players can build just about anything they want ranging from a series of small wooden houses to a giant stone pyramid. The basic building units are stone blocks, wooden planks, wood columns, stone arches, stone stairs, and wooden doors. Even with these few simple things, a crazy amount of different buildings can be created. An infinite number of Brictrons can be created, and hundreds of them can be running around on the screen at one time. To make more, the player has to harvest a blue crystal, which is spawned in various places around the map. As of right now this the only valuable resource in the game, but that's something that could change in the future. Another upcoming feature is going to be multiplayer. 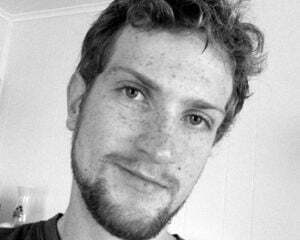 After its successful Kickstarter campaign, Sauropod hired another developer to work on adding multiplayer to the game. Players will be able to work together in co-op by sharing workers and materials, or they can set out to demolish each other using catapults. The player will have direct control over the direction and arc that the catapults will fire in, which I'm sure will be a really fun mini-game. I'm picturing two castles on opposite hills firing at each other while players try and adjust their aim. The servers will function similar to Minecraft's and rules will vary from server to server. Players will be able to join existing worlds with lots of other players or set up private settings with just a couple of friends. While this isn't the first type of building game of this kind to be out there, it stands apart from the rest because of how easy it is to start playing. 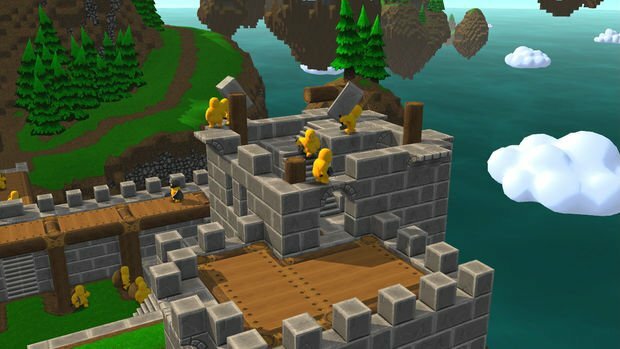 You won't need a wiki or a long tutorial to jump in and start building your first castle. Castle Story will soon be available to pre-order on Steam, and those who buy early will have access to the beta once it launches. Sauropod is hoping to release it this year, but the studio will hold off until they know it's well-polished and bug free, an attitude that more developers need to have.